SCVHistory.com GS2801 | People | Frank & Hortense Walker Family (Whole Family) 1928. 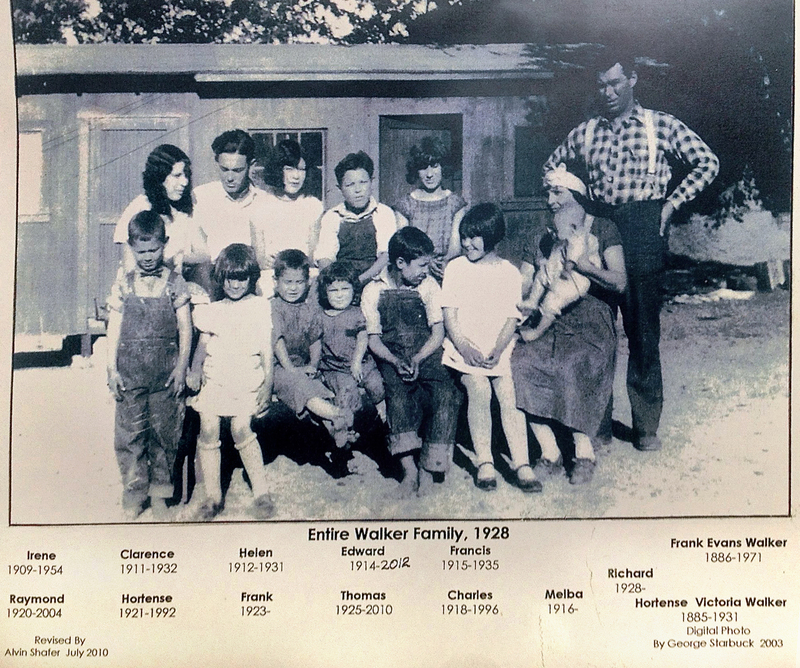 Frank and Hortense Walker (at right) at home in Placerita Canyon with all 12 children. Identifications by George Starbuck, 2003; revised by Alvin Shafer 2010. GS2801: 19200 dpi jpeg from smaller jpeg courtesy of Ron Kraus.